The garden is filled with baby zucchini plants and I'm anxiously getting ready for summer zucchini season! Thank you to Common Sense Goods for sponsoring today's article. Opinions are 100% my own. Sweet Potatoes. This one was unexpectedly a success. 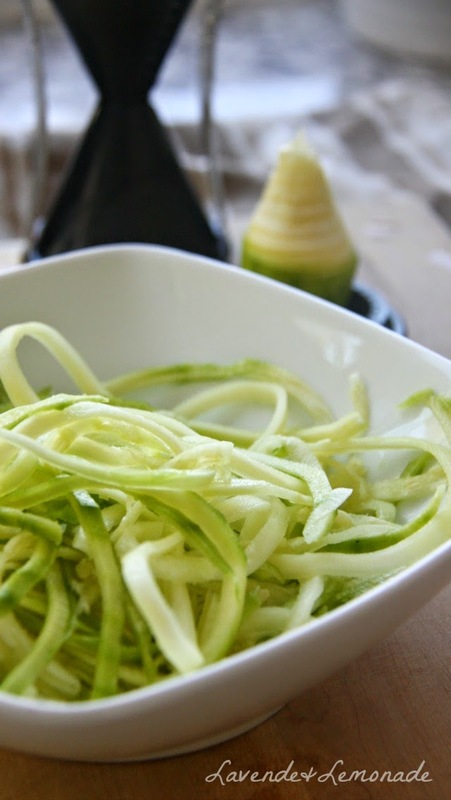 The noodles are thinner than the same size setting on zucchini, and are shorter, but make a thin almost julienne cut. Carrots: I had visions of making spiral carrot slaw but my carrots were too tough for the small blades. Broccoli stems: We always try to use the whole broccoli, including the stem, and I thought it might be a great candidate. Not a success. 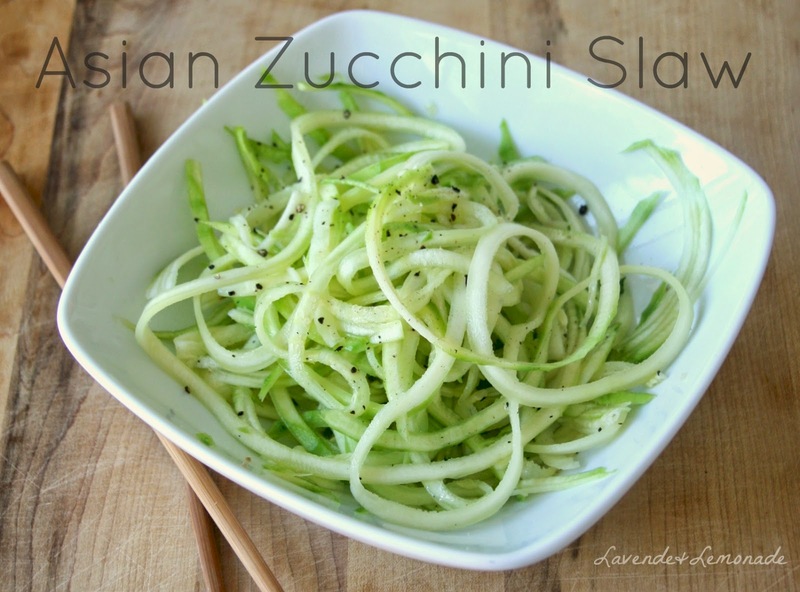 So Spiral Vegetable Slicer in hand, I've made a fun twist on one of our favorite asian slaws using zucchini spirals! Use a Spiral Vegetable Slicer to cut the zucchini into spiral shapes. Pour the rice vinegar, salt and pepper over the zucchini and refrigerate it overnight. Serve the slaw cold, as a side dish or over top of grilled chicken! The good folks at Common Sense Goods are excited for you all to try their veggie spiralizer and are giving Lavende&Lemonade readers an exclusive offer on their Spiral Vegetable Slicer! As a lucky, loyal reader, you can receive 70% off your spiralizer purchase! Get one for just $4.99! Use PROMO CODE 4F4GJ8W9 for your exclusive L&L discount at Amazon.com! Have you tried spiralized vegetables? What has been your favorite so far? Today's discussion is sponsored by Common Sense Goods. Looks delish! Thanks for such a beautiful article. Thanks so much! Its a pleasure, this was a fun product! How long do you think it needs to be soaking for? I would like to try this, but I don't have overnight to wait. Would a few hours be enough? The longer it soaks the deeper the flavors set in. A few hours in the fridge is perfectly fine though! 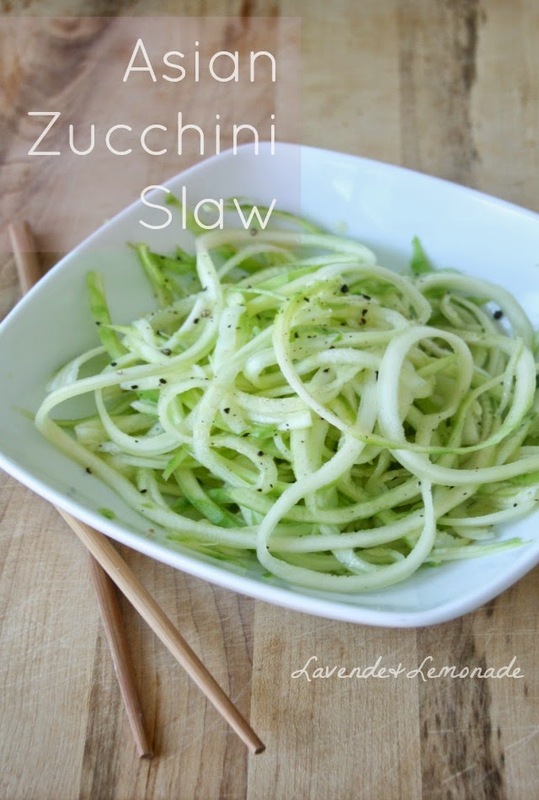 It also works great with thinly sliced cucumbers - thats what I usually use - and those take even less time for the flavor to take.